The Obergoms valley is just perfect for a stay with dogs. In winter, as well as summer several hiking trails offer the possibility of nearly endless walks with your dog. 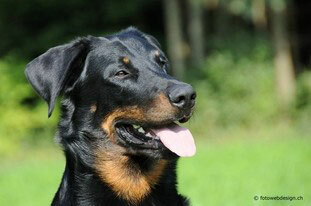 It is with pleasure; we do welcome your well trained dog to the Hotel Walser. He will stay with you in your room and you are invited to bring him to the restaurant. We do allow us, to charge Fr. 8.- for a day. To make his stay more comfortable, bowls are available in the restaurant. Some poo bags and certainly some dog treats are awaiting him in the room. Bowls for the rooms on request.